Hey, everyone! 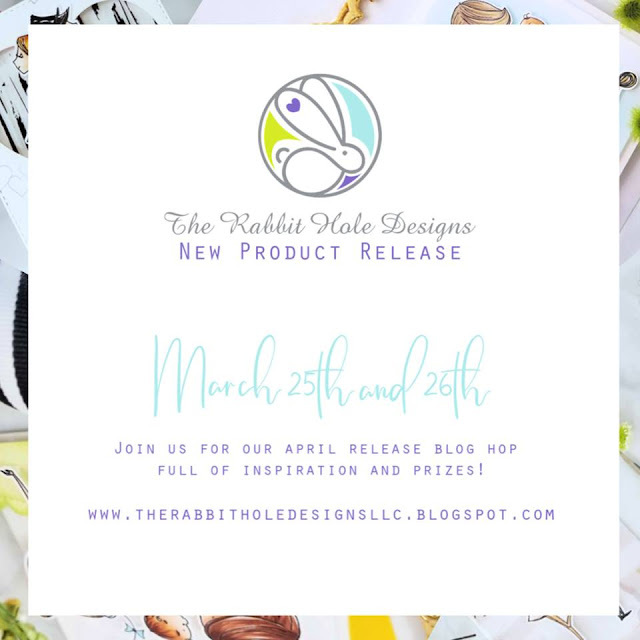 It's FINALLY time to check out the April release from The Rabbit Hole Designs! This month they have released two new stamp sets perfect for spring celebrations! And guess what!? Both the Happily Ever After stamp set and the We are Family stamp set are available for purchase RIGHT NOW! The Rabbit Hole Designs is celebrating this new release with FREE SHIPPING on orders of $25 or more before taxes and shipping (applies to US orders only) (No code necessary, exclusions apply)!! 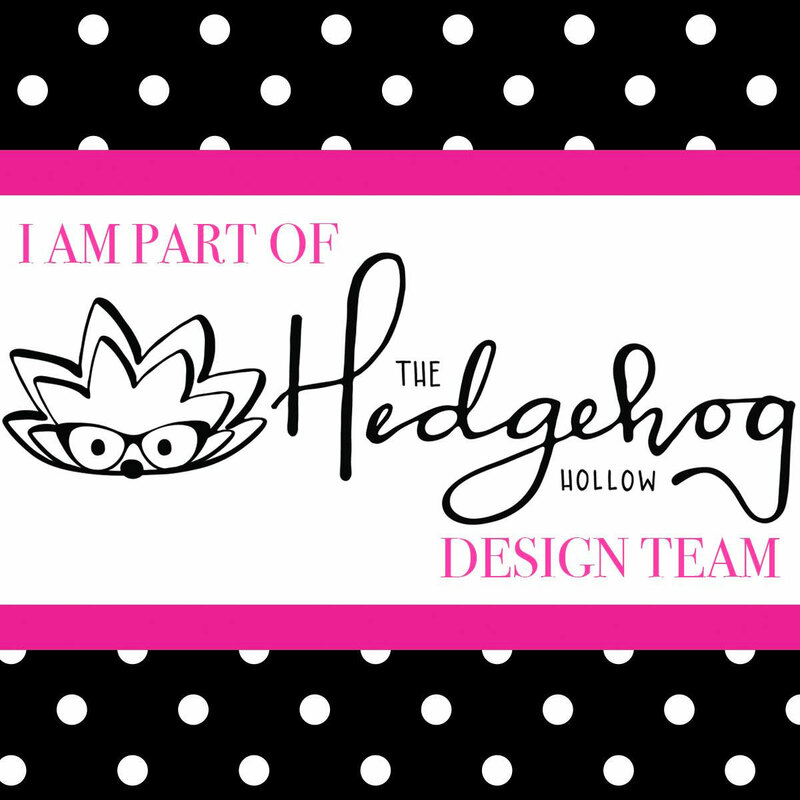 So hop on over to The Rabbit Hole Designs shop and grab your goodies! 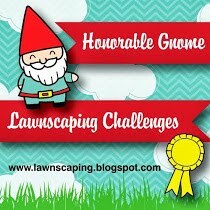 In addition we are having a 2 day blog hop and a giveaway for each day! To celebrate day 1 of the release The Rabbit Hole Designs is giving away the stamp set Happily Ever After to One lucky winner. Winner will be chosen at random from the comments left on participating blogs, so make sure to visit each stop and leave a comment. Leave comments by 11:59 pm PST 03-28-2019 on all participating blogs. 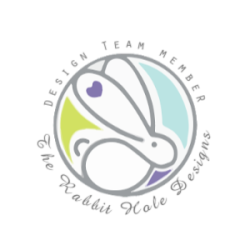 Winner will be announced on The Rabbit Hole Designs blog 03-29-2019! The Happily Ever After stamp set is GORGEOUS! It features three images of this super cute little couple and a bunch of scripty sentiments! To make my first card I cut a piece of cardstock and folded it so that I had a letter size card. 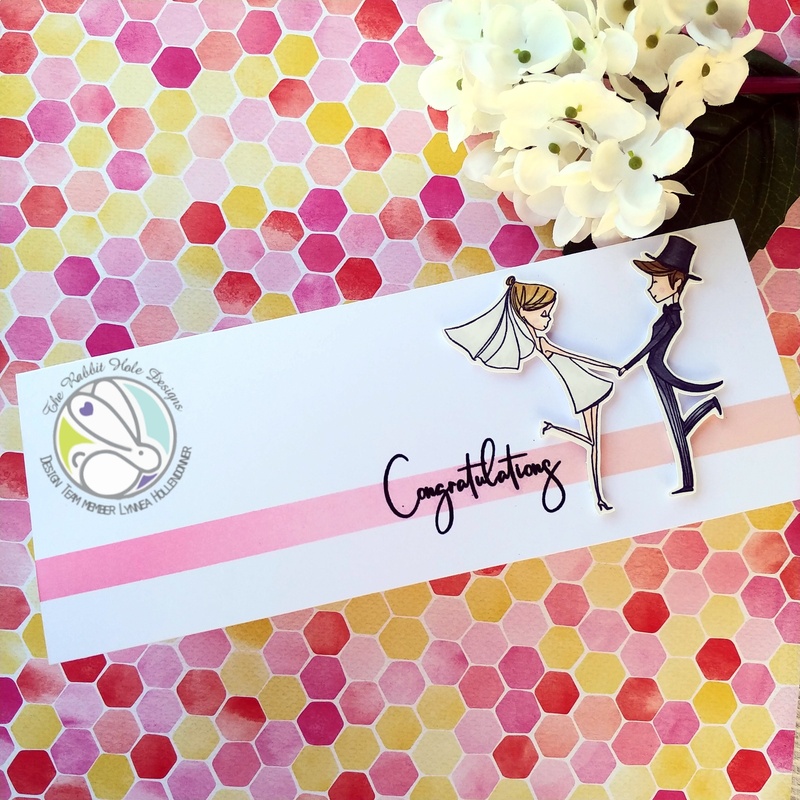 Long cards are an easy way to add a bit of "wow" and step outside of the standard greeting card size! I started by masking off all of my card except for a skinny strip near the bottom. I wanted to have a gradient of color going across - dark on the left and light on the right. I used Worn Lipstick, Spun Sugar, and Tattered Rose Distress Inks. I removed the masking tape and stamped my sentiment with black ink. I stamped and colored my image with Copics and added it with foam tape to the right side of my card! 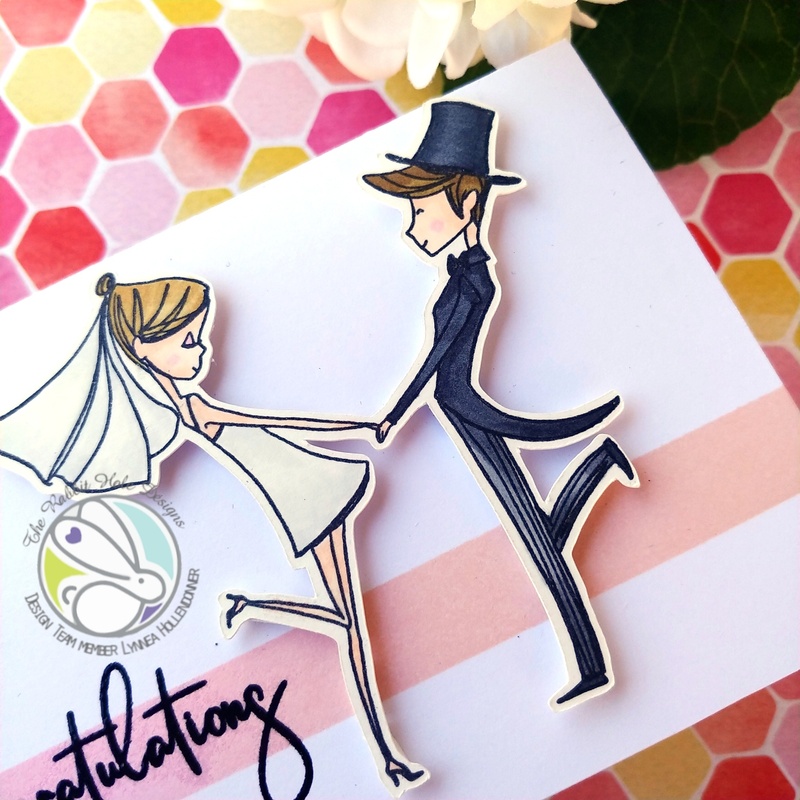 I rarely make wedding cards and often find myself needing to make one quickly. 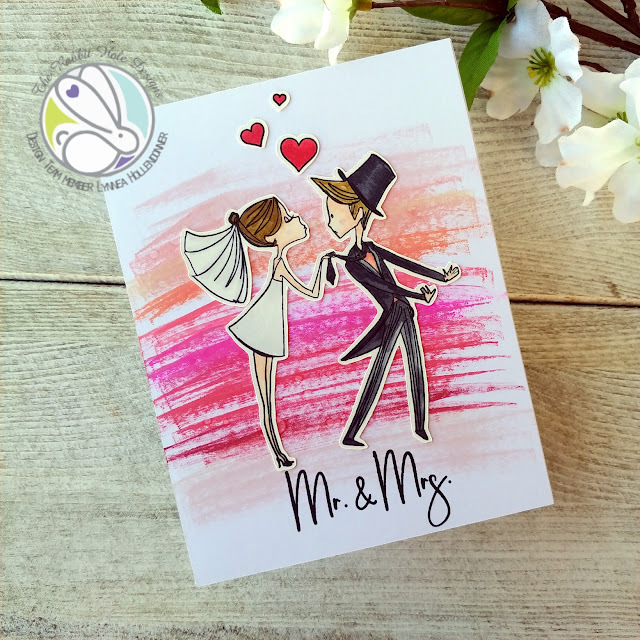 One of my favorite ways to customize a wedding card is to use the couple's wedding colors on their card! This background is super easy to create! I grabbed a bunch of colors of ink cubes and used the edge to quickly swipe color across my card. I kept the color darker towards the center and lighter towards the edges. I stamped my sentiment at the bottom in black. I colored my image from the Happily Ever After stamp set with Copics, cut it out, and adhered it directly to my card front. You can change up the colors to match whatever you need to! I hope you enjoyed looking at these cards! 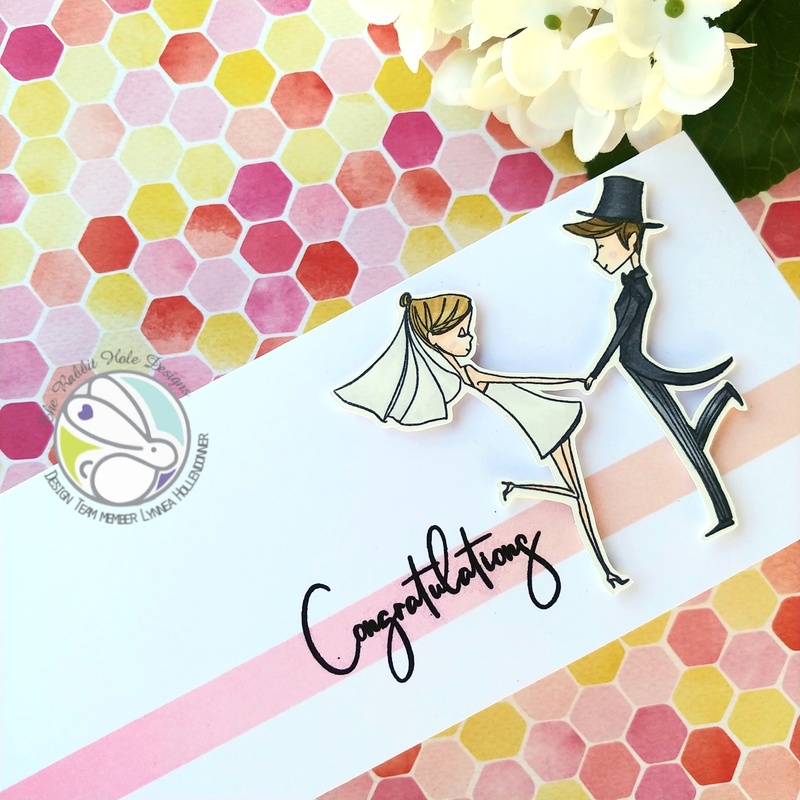 Check out The Rabbit Hole Designs shop to find the new release and be sure to hop through all the designer's cards for a chance to with the Happily Ever After stamp set! 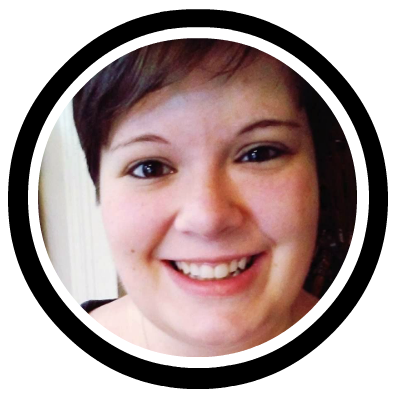 Lynnea Hollendonner - you are here! Love all of your cards, Lynnea but my favorite is the second one! Just simply beautiful! Beautiful cards Lynnea! I love the long card, so different and unique and the background on the second card is so much fun! Beautiful cards!! I love making longer cards... a fun way to change things up! Great background on your second card! I’ll have to try that technique out. OMG, these are stunning. The colors and the design are unique! love your cards the simple designs bring out the stamps so well. 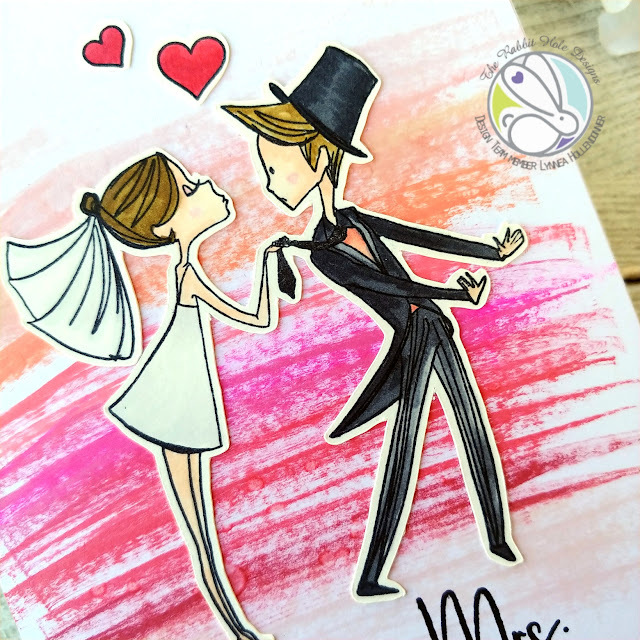 I love the way you colored them and that great swipe of color background! You nailed it! Love the background with the ink cube swatches. So creative and really inspiring. Thanks for sharing your talents. Perfect cards! I would definitely not b shy about sharing these makes....super duper cute! Fabulous!!! I just love them both! That background on #2 is perfection!!! Your cards are so cute! I love the long card with the single strip across it. 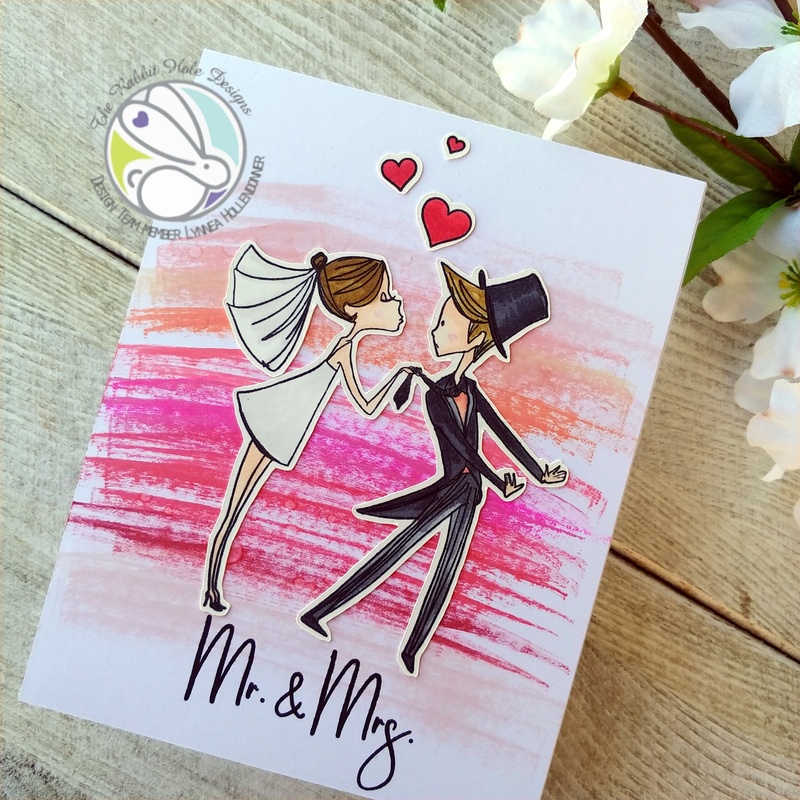 I also really love the idea of adding the couple’s wedding colors to the card! Thank you for sharing! These are wonderful, I especially love the long narrow card - love that format & shape! Gorgeous cards. Such a fun idea to use the wedding theme colors on your card. Love the backgrounds an colors you used. Darling card! Love the cute couple!